Minnesota Pictures: Minnesota Photos that define the northstar state: Is that Big Foot? The hunched posture, the dark fur (or clothes)...? 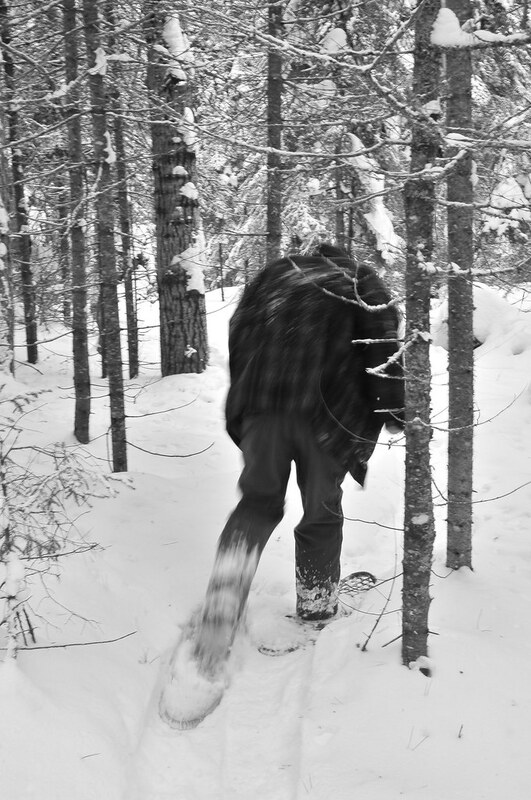 Sure, it might look like Big Foot, photographed right here in Minnesota's north woods, but it's actually an intrepid Minnesotan doing some snowshoeing.